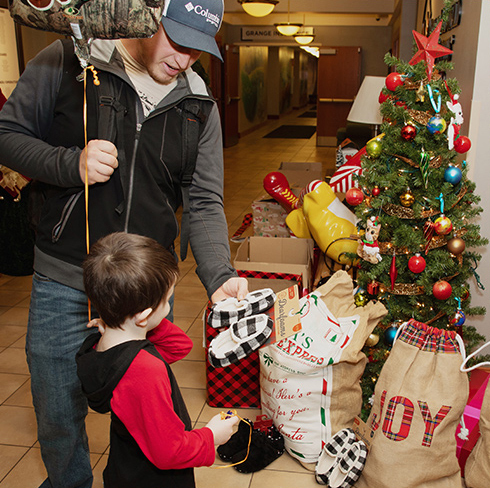 During the 2018 holiday season, Dearfoams was proud to partner with Ronald McDonald House Charities® of Central Ohio, the largest of its kind in the world, to give the gift of comfort to parents spending their holiday season away from home. Originally housed in an old apartment building near downtown Columbus, RMHC of Central Ohio has quadrupled in size since it first opened its doors in 1982. Every night, hundred of people stay at RMHC while their young family members are cared for nearby at Nationwide Children's Hospital. RMHC provides comfortable accommodations, meals, and a sense of community for families in the midst of challenging times. 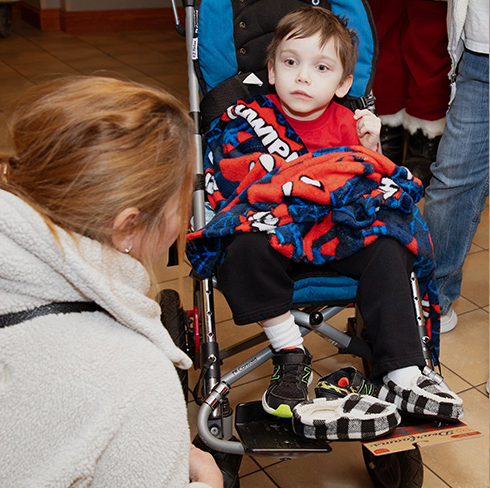 Your Dearfoams.com purchases brought comfort to parents and families with children in medical care. 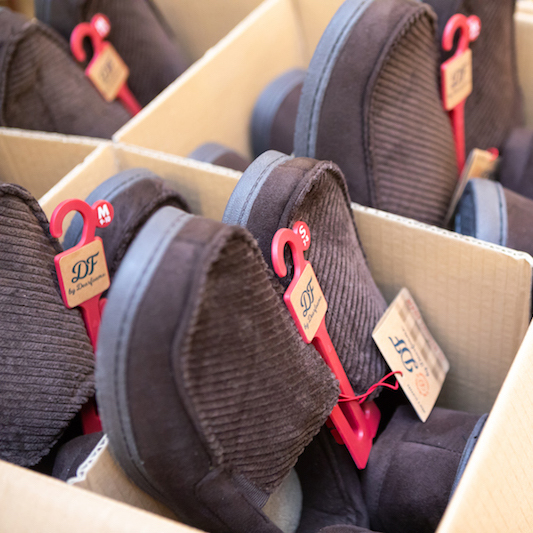 * For each pair of Dearfoams® slippers or slipper socks purchased on Dearfoams.com at regular or sale price from November 13, 2018 at 12:01 am EST through December 26, 2018 at 2:59 pm EST, Dearfoams will donate a pair of slippers of equal or lesser value to Ronald McDonald House Charities® of Central Ohio, up to 50,000 pair. Offer excludes pajamas. 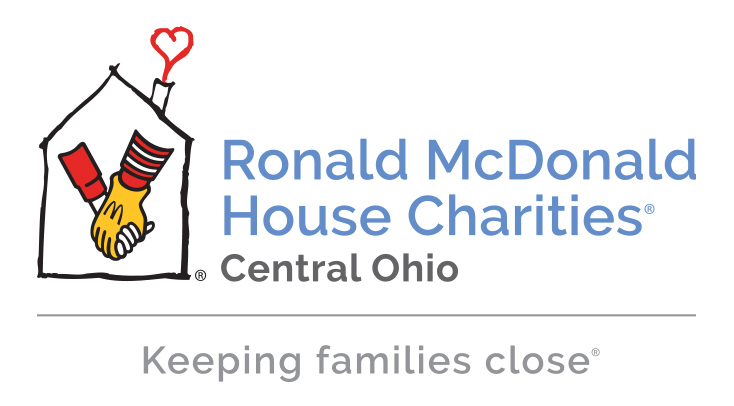 On November 13, 2018, Dearfoams.com will make a one-time donation of 2,000 slippers to Ronald McDonald House Charities® of Central Ohio at an on-site charity event. Additionally, Dearfoams.com will be giving away a pair of slippers for every share of our Dearfoams Gives donation post on Facebook.com on November 13, 2018. * Donation dashboard is only an estimate of total slipper donations made to date and may not automatically update following every purchase. 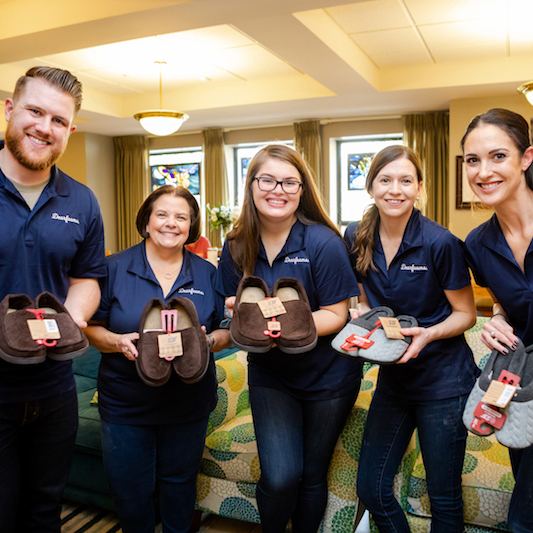 A final, official tally of total slippers to donate will occur on or around the week of January 1, 2019.